Before I built my travel company, I had always dreamed of running my own business one day, but spent many years believing that the risks were too high to make it work. I took a mash-up of courses and majors throughout my schooling, and through trial and error I quickly confirmed that I was capable of a lot of different things, but passionate about none of them. To keep my sanity over the years, I separated each failed attempt at a “proper” career with a much needed trip abroad. Nothing opened my mind and settled my spirit like falling asleep to the sound of the ocean or pitching my hammock on the beach for the night just to wake up with the sun on my face. I would never classify myself as the “outdoor type” back home, but when I was on the road that was the only place I wanted to be. Every day was an adventure and from white-water rafting in Chile to wreck diving in Indonesia, it took me longer than it should have to realize that what I was best at and most passionate about in life was travel. Today I am a business owner and travel architect at TL Travel in Alberta, Canada. Not only do I get to make the world my office, but I get to share my experiences with other travelers and watch their faces light up as they discover a new country for the very first time. 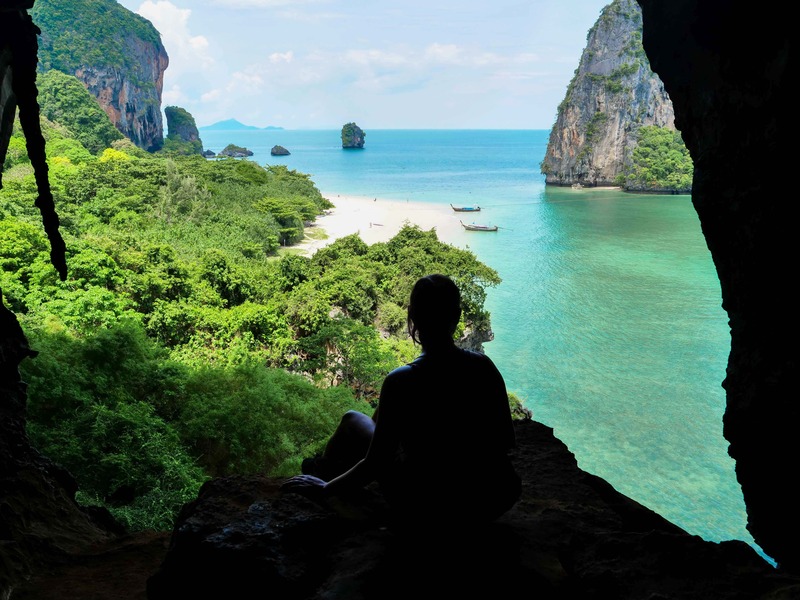 I have many favorite destinations for many different reasons, but anyone who knows me knows that my heart lives in Thailand. Not only was Thailand one of my very first solo trips abroad, but I have been fortunate enough to visit again and again, and to make so many life-long friends there. If you have never been to Thailand yourself, it is hard to explain just how kind and full of love the Thai people are. 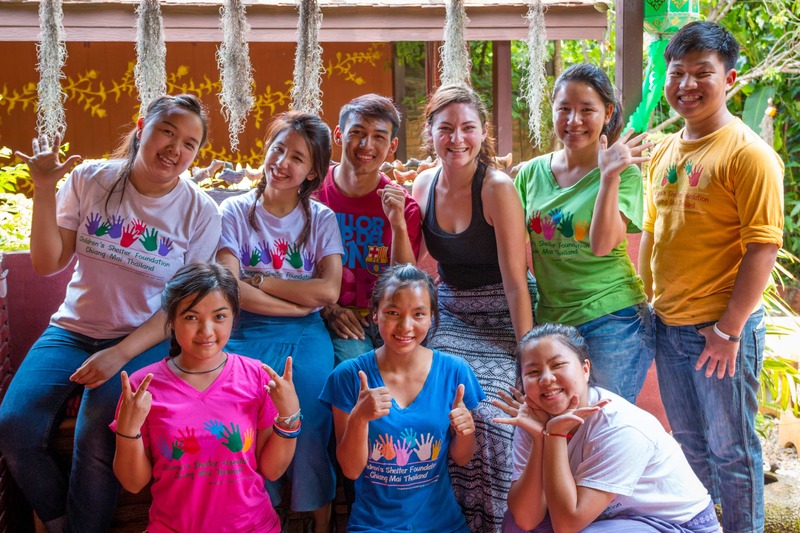 Of all of the amazing places that I visit and re-visit in the world, Thailand is one where I am always welcomed into the local community with open arms. Of course, it helps that there is also an endless variety of beaches, hikes, food and culture to experience, but when push comes to shove it is always about the people for me. I suppose that’s how Thailand became recognized as the “land of smiles”. Lumix GH5: As someone who documents their travels through video more-so than photography, the Lumix GH5 is easily my favorite piece of gear. With cinematic quality being such a huge thing on YouTube now, being able to shoot 4k at 60p makes all the difference. 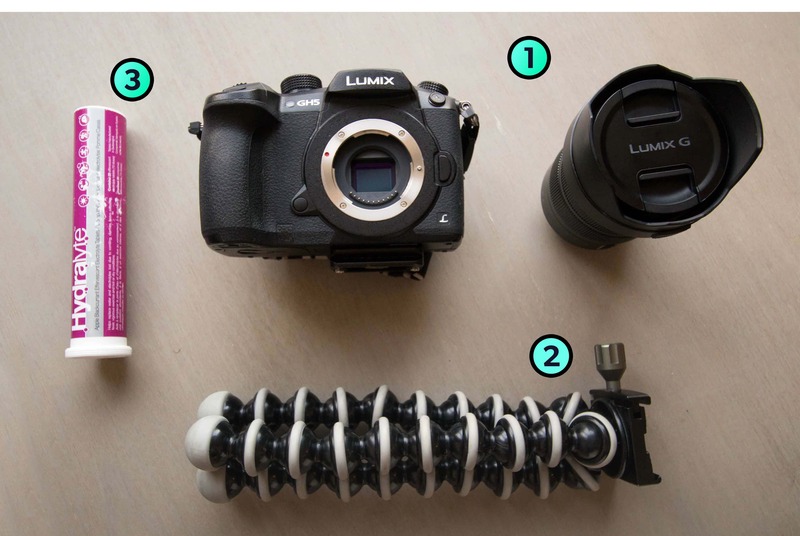 JOBY Gorillapod: Working as a travel leader I almost always have someone around to take a photo for me should I want it, but when I am researching new locations or touring hotels I am very often alone. The JOBY Gorillapods are the absolute best for setting up shots for both photo and video, and I always bring two along (a small one for my GoPro and a larger one for my Lumix) so that I can capture shots on the go without having to lug around a full sized tripod. Hydralyte Electrolyte Tablets: With social media being what it is these days and everyone out to find the next hidden gem, it is amazing what we will do to get “the shot”. I may not be an outdoorsy person back home, but when I land in a new country I will hike, climb and bike for hours in the heat if it means experiencing something new and beautiful. For this reason, I never leave home without Electrolyte Tablets (Hydralyte Apple Blackcurrant being my favorite) to add to my water and keep me hydrated throughout all of my adventures. My favorite travel hack when I find myself in a pinch (or without the proper wall adapter for international outlets) is to USB charge my electronics through the port in the TV of my hotel room. Most hotels these days have smart TVs and people often forget that those USB ports will charge your gear! I dream of the day where my DJI Mavic Drone doubles as an underwater camera and a DSLR — all for an affordable price of course! If I could capture everything that I experience with only one piece of equipment the world would be a better place and my pack would be so much lighter! My nesting chair! I have this over-sized, incredibly comfortable nesting chair that sits in my entrance way back home — in the afternoon the sun shines in the window and warms it right up. My favorite thing to do is just snuggle up in that chair while I’m checking e-mails and on occasion I’ll even curl up for a little cat nap. If I could take that chair with me on all of my adventures and curl up in my hotel, on the beach, or in a restaurant, I 100% would! I suppose the weirdest thing that I take with me when I travel is a “bucket list” that I wrote for myself when I was around ten years old. At the time I had no interest in traveling so it’s mostly things like “write a book” and “be a famous actress” but I carry it in my wallet and it’s always a fun reminder of how far I’ve come. I have got to say that the GasBGon Flatulence Filter Cushion is the weirdest piece of travel gear on the market right now. I absolutely get how and why it exists, but try explaining that one to your neighbor or flight attendant? My travel advice may seem a little cliché, but as someone who leads travel groups for a living my best advice is to take the days as they come and don’t let yourself get bothered by the little things. Embrace each place that you visit and try to learn how to do things their way (ex. work at a slower pace in slower paced countries). Not only will you enjoy your travels all that much more, but the people around you will appreciate your positive attitude! Follow Teri's travels on Instagram!